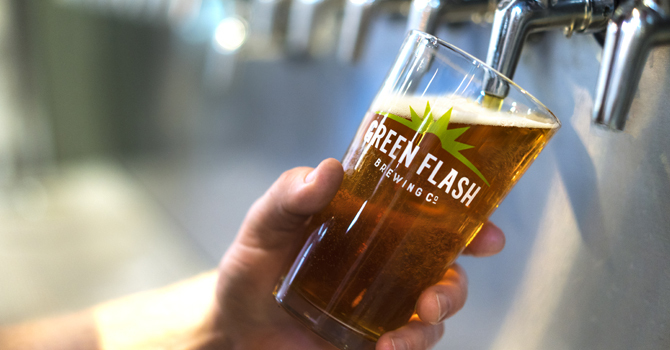 “Our new visual identity represents a dramatic shift for the Green Flash brand and reinforces its origin as one of the original San Diego craft beers,” Ben Widseth, the company’s vice president of marketing, said via a press release. 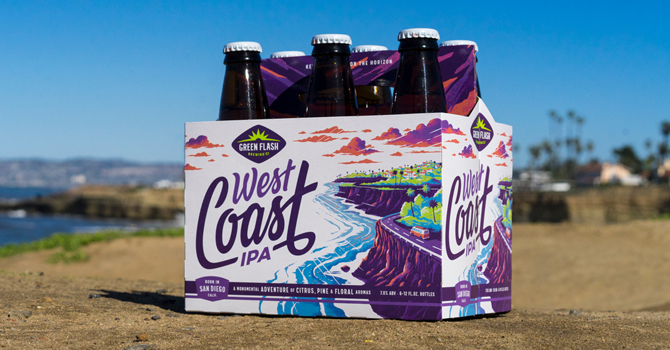 In addition to the new package design, the company also re-launched its West Coast IPA flagship with the original recipe. 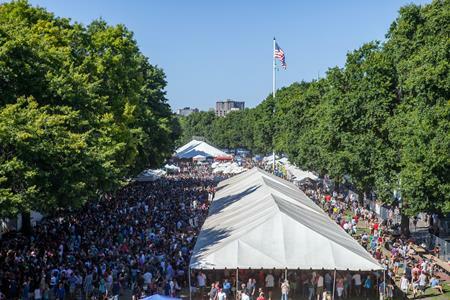 In mid-2014, the company raised the ABV of its West Coast IPA from 7 percent to 8.1 percent. 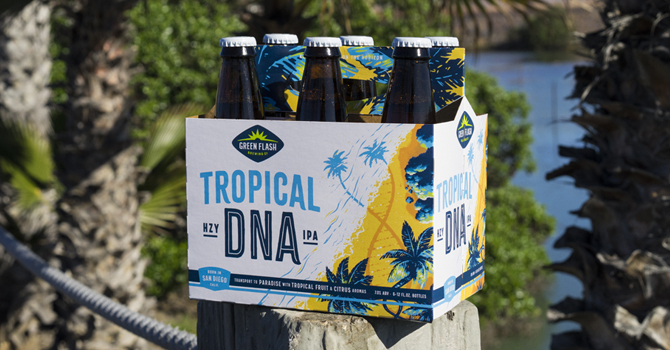 In addition to the original West Coast IPA, Green Flash’s core portfolio now includes Soul Style IPA, GFB Blonde Ale and Tropical DNA, a hazy IPA. In 2018, amid ongoing financial troubles, Green Flash was forced to close two production facilities, lay off 76 employees and pull distribution from 42 states. A press release with additional details and photos of the rebranded packages are included below. 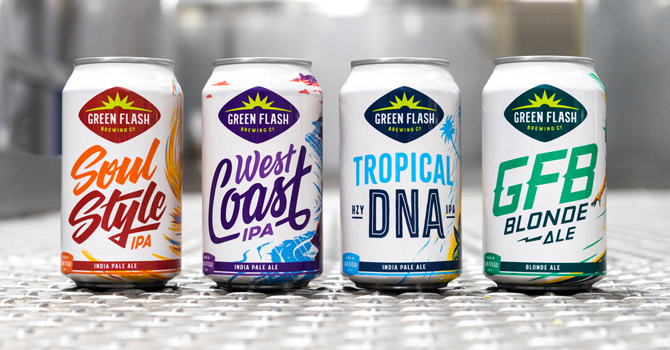 SAN DIEGO, CA, January 28, 2019 – Green Flash Brewing Company is kicking off 2019 with a new logo identity and packaging refresh, as well as a new lineup for the year ahead. 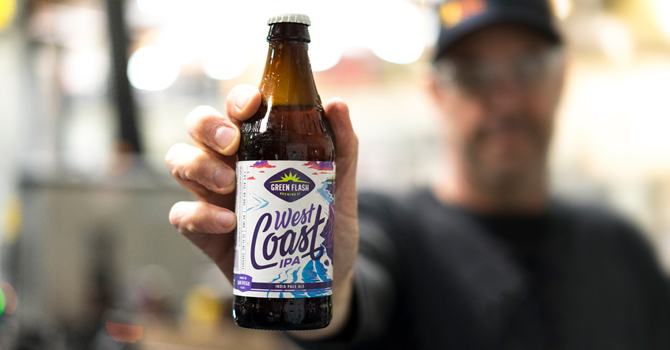 The 2019 Green Flash portfolio features the highly anticipated return of the original 7.0 percent ABV West Coast IPA alongside new beers, returning fan favorites and special releases. 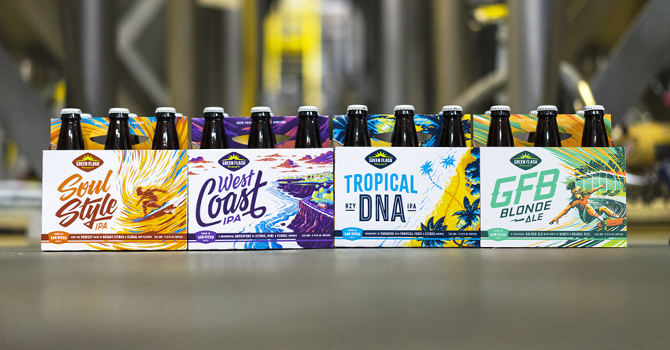 As the craft-beer landscape evolves, Green Flash remains focused on innovating its beers and packaging to meet the diverse and changing expectations of craft-beer drinkers. Additional details will be shared at www.greenflashbrew.comand on Green Flash’s social media channels as more information becomes available.